Mike Fairclough, is the founder of eebudee, an Australian software company dedicated to helping keep kids ages 4-12 safe and savvy online behavior through an emphasis on digital citizenship and social media education. Inspired by the personal experience of a friend's 14-year-old daughter killing herself because of cyberbullying, Fairclough joined with other tech-savvy parents and experts to create eebudee as a family friendly platform where parents can educate their children about the online world in a safe, secure but also fun environment. 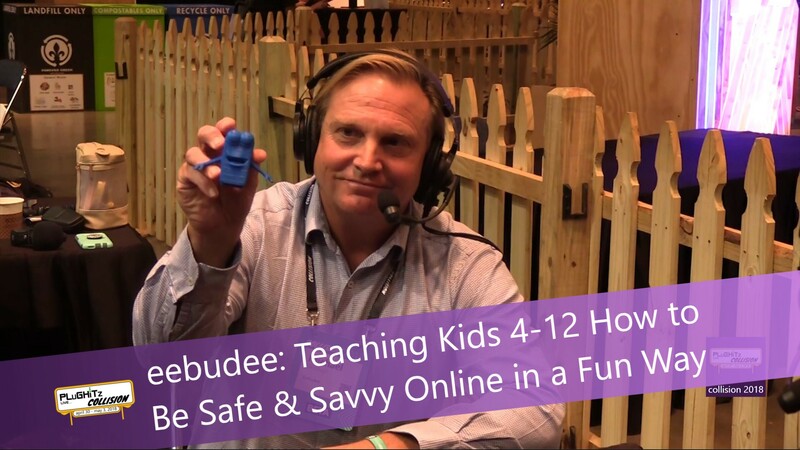 eebudee recognizes the positive aspects of being digitally connected - like access to information, communities of like-minded friends, and staying connected to family - but hopes to help children develop digital armor and digital resiliency, protecting them from falling into internet addictions and falling prey to online predators. The point of eebudee is not to shield kids from the online world but to empower them to reap the benefits while properly protecting themselves and developing effective communication and positive social skills. "Bud", developed by kids for kids, is the digital safety mascot of the eebudee community, a friendly cartoon fridge recalling the kitchen as the symbolic gathering place for families, and which has all the ingredients needed to raise digitally resilient kids - education and social media training. For a modest monthly subscription fee of less than $10/month, a portion of which goes to the eebudee Foundation to help fight problems associated with digital addiction and cyberbullying, families have access to all the educational curricula and resources in the platform. Once subscribed, families receive guidance on appropriate usage to set the stage for savvy usage from the start, and then children have access to regularly updated games and other content that reinforce safe online behavior. Next steps for eebudee is expanding roll out in the United States and Fairclough hopes to leverage the experience of Collision 2018 to connect with investors and raise awareness of the importance of the work being done through eebudee. You can learn more by visiting the company website.